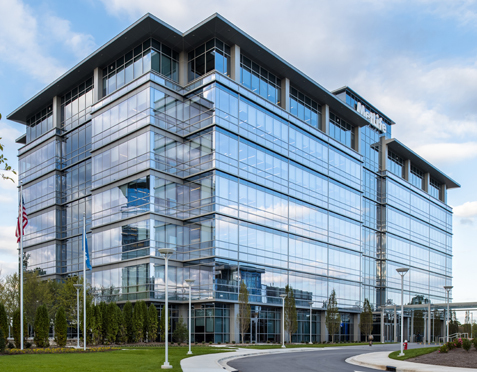 MetLife’s new Global Technology Center in Cary, North Carolina was recently made public at a ground breaking ceremony on-site. 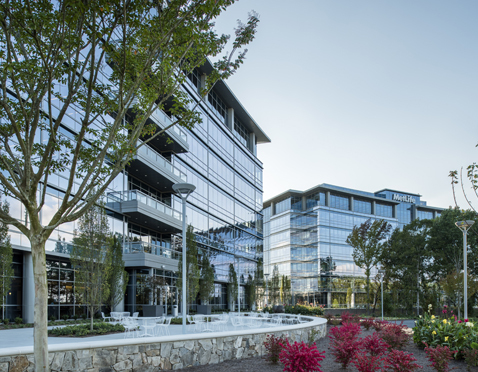 The hub’s two new office buildings, each connected to its own parking structure by a covered walkway, were designed by RJTR. The buildings will be occupied by MetLife’s product management, information technology, sales, marketing, and customer support teams. In addition to the relocation of 2,600 current associates from around the country, the North Carolina office will hire 1,200 new associates to join the life insurance company when the facility opens in mid-2015. MetLife and the developer, Highwoods Properties, are targeting LEED Gold certification or higher. Standing seven stories tall, each building will be approximately 214,000 GSF for a total of 428,000 GSF. Along with the two parking structures, the 40-acre campus will also provide an outdoor amphitheater, a patio for events, a basketball court, and convenient walking trails connecting to nearby Umstead State Park. In the event of a future expansion, additional land is available for a third building and parking structure.